What's the point in wasting time, I guess? It was only a few hours ago that a rumor surfaced that The Batman director Matt Reeves had already made his choice to replace Ben Affleck, who is clearly done with the whole superhero thing right now. The story broke from John Campea, who said he'd think about whether to reveal the actor Reeves had in mind. And, well, he didn't wait long before spilling the beans on his show. Jake Gyllenhaal is apparently Reeves' pick to play Batman, which...well, he's not the first guy I would've had in mind but it makes sense the more I think about it. He's got the look to play Bruce Wayne, and the physique to be a credible Caped Crusader, but he's also a bit younger. Not so young that we're talking about a teeny-bopper Bats, but young enough that he could stick around for a full trilogy without wearing down. Plus it's not like he's busy trying to direct a bunch of movies, either. Affleck's attention would always be split between the DCU and the stuff he really wants to be doing. To that end, Campea says Affleck's farewell has been set in stone for a while, and this gives Reeves a chance to make the non-continuity film he wants. I know Warner Bros. is said to be leaning towards more standalone movies outside of the DCU, but I think if Justice League is the smash it's expected to be we may see their attitude change. I wouldn't bet on this Gyllenhaal thing happening just yet, although it is apparently in the discussion stages. Thoughts? 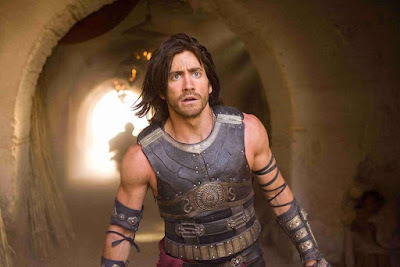 Would you like to see Jake Gyllenhaal as the Dark Knight?